Recently we have discovered that in an interview Hema Malini stated, That its not a big issue to release he home production along with With SRK biggest Diwali Film, She edit further that She has complete rights and privilege to show her movie as well on the big occasion of Diwali. 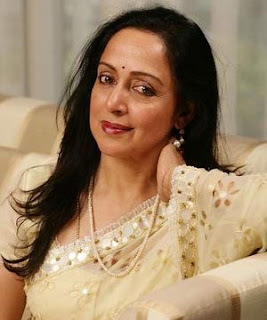 After Several question, asking that why Hema push the date of her film, she stated it was a shraad period (Bad Timing ) to release and after she make her mind to release that film on Diwali ! well several rumors she denied that it was feared that Kat - will beat Esha Deol by Hema Malini. Its a Big Risk to launch a Film Alongside with SRK Supper Published and Advertised Movie, but we still wish and hope the movie and hit block busters as Hema Malini self Praised the movie and its concept.